Home Gadgets Sale Alert Cherry Mobile Thunder Exclusively on Lazada PH at P4,999! Cherry Mobile Thunder Exclusively on Lazada PH at P4,999! Cherry Mobile officially announced last Feb. 9 to release their newest smartphone exclusively on Lazada Philippines. The Cherry Mobile Thunder is the latest Android addition from with a price tag set to rival any local or world-renowned mobile phone brand that runs on Android ICS. 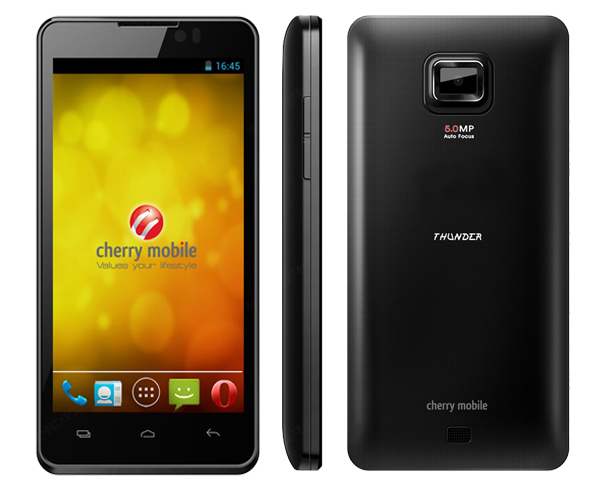 Cherry Mobile Thunder is armed with dual-sim, dual-core , 4.5-inch FWGVA capacitive screen, Wi-Fi, 3G, GPS, bluetooth, 5MP dual camera and an expandable 4GB internal memory all at an affordable price of PhP 4,999.